Aah finally another trip, a trip to Sri Lanka and the weather conditions were awesome. 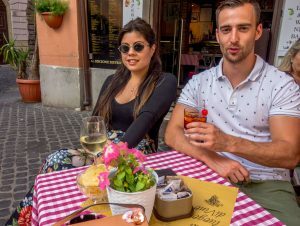 Every day between 30°c and 36°c and always sun. Finally my milky skin is getting some sun! Hooray! 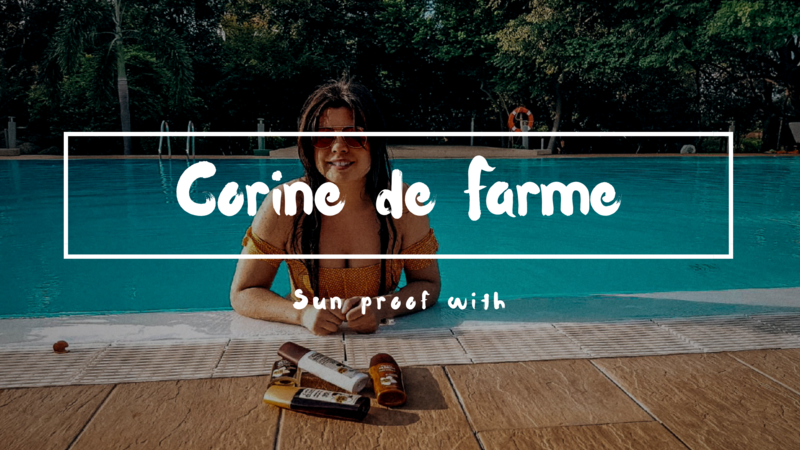 To keep ourselves protected I brought the family of Corine de Farme sun protection with me. I had the following items with me on this journey. Pocket sized sun milk Spf 30. 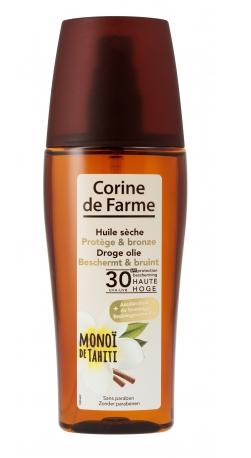 Dry Sun oil Spf 30. And of course after sun. 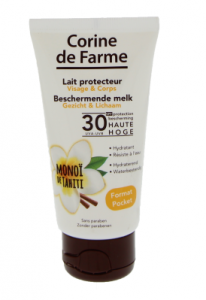 The pocket sized sun milk Spf 30 is so comfortable to carry along, it fits right in my purse. 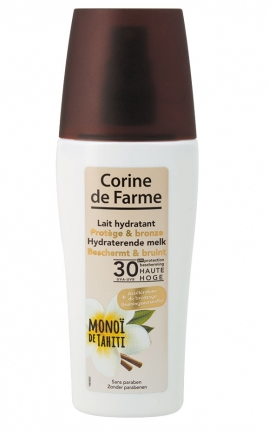 This is great for the face & body, I only use this for my face and shoulders as this milk is softer and not that heavy which is nicer for my face. Other sunscreens are not that fit for the face and gives you irritations because it’s too thick. What’s also nice is that it’s waterproof. I also had the sun milk and the dry Oil, both Spf 30. I personally prefer the sun milk over the dry oil but that’s personal, while my boyfriend prefers the oil. The reason why I like the milk, is because it feels like I’m actually smearing something and it’s thicker and less messy. While my boyfriend likes the oil more because he feels that it covers better. Both hydrating, makes it feels softer while it does its job protecting the skin and it fastens the browning process aswel, what I love! Make sure you smear it every time you go out of the water or every 2 hours or so. They say at least 2 times a day when you look it up, but don’t forget, even if it’s waterproof, it will fade away. It’s so important to protect yourself and it’s better to do it more than to forget it and get burned. But I know most of you like to get a tan, so do I! This is a really intense oil and it only gets fluent on a certain temperature. Ok, it is a bit messy but the result are amazing. The oil ensures that you become brown quickly and intensely. And last but not least is the after sun. We all know we need to calm and cool down our skin after a day under the sun. 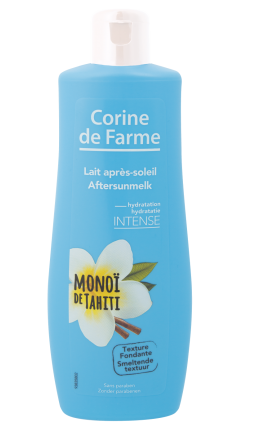 I do that with taking a cool shower and afterwards I use the Corine de Farme after sun milk, it calms and feeds the skin. 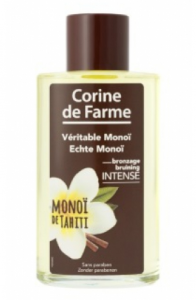 It works on the aging of the skin due to the vitamins E and tocopherol and it feels super soft, so you can put on clothes without that sticky feeling. But even other products smell organic and natural. Got me a little extra this time. 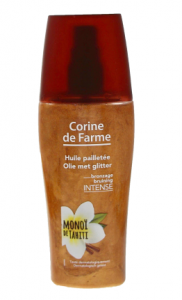 I got the (gold/bronze) glitter dry oil for that extra glow in the evening. I also use it weeks after I come back from a beach holiday or just during summer. It’s a bit like cheating but who doesn’t want that warm glow, especially with a nice dress. Just make sure that afterwards you wash your hands!